Ignition Casino is one of the simpler bitcoin accepted casinos to appear of late. It is brand new for 2016, and is fully licensed out of Kahnawake. This is a bitcoin casino that also allows you to use US dollars to deposit, and accepts players from across the globe. Powered by Rival Gaming, and with RTG software available, too, they offer you your choice of instant play or mobile casino bitcoin action. It is important to note that Ignition Casino only offers English language gaming. As we’ve said, Rival Gaming provides the power to Ignition Casino, whilst RealTime Gaming (RTG) make up the remainder of the slots and casino games you can play. This casino carries a number of decent games, including baccarat, bingo, blackjack, craps, i-slots, keno, mobile casino games, poker, progressive games, roulette, slots, table games, and video poker games. Traditional casino games which may be worth a look include Caribbean Hold ‘em, Caribbean Stud poker, Casino Battle, Let ‘em Ride, Pai Gow poker, Red Dog poker, Tri Card poker, and Vegas Three Card rummy. If you’re after the top hits, then why not try your hand at the Golden Gorilla, Caesar’s Empire, Vintage Vegas, or Loco 7’s slots. New slot machine releases at Ignition Casino include Champ Elysees, Reel Fighters, and Wild Wild Spin, Soccer Babes, Pond of Koi, and Demi Gods. There is currently an extra special bonus available for those players who wish to use bitcoins at this casino. Players can fuel up with a bitcoin welcome package at Ignition Casino, and one which is worth up to $2,000 in total, when converted. This offer comes as a 200% match on all deposits made using bitcoin, and is valid on over 200 games at the casino. 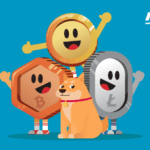 The bonus code for this offer is IGBITCOIN200. Players can also claim a tell-a-friend bonus at this site. Ignition Casino will offer you the equivalent of 200% of whatever you friend deposits, when they make their maiden deposit as a new player. The casino also runs regular reward bonuses, and a weekly boost offer. 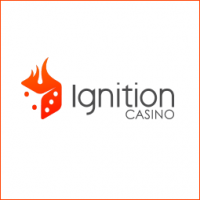 The Ignition Rewards program, is a loyalty scheme which is open to all players, and rewards them for regularly playing casino games at this bitcoin casino site. Some offers and deals may only appear via e-mail, so make sure that you keep yourself involved via this medium. As you might expect, the number one payment method at this bitcoin accepting casino is bitcoin itself. However, it is not the only payment method supported at the site. You can also choose to deposit with VISA, and MasterCard, if you wish to use credit/debit cards to top up your balance. Other banking options are not supported at Ignition Casino at this moment in time. One of the perks of using bitcoins over the other options is that you are guaranteed that they will be free of charge, and promise a quick, and discreet service. Should you have any further questions, or seek assistance for whatever reason, don’t hesitate to get in touch with customer services over at Ignition Casino. They are on hand to assist you via telephone, e-form, or e-mail. Live chat is not currently supported at Ignition Casino. It is also worth pointing out that you may be charged for using the telephone support line, depending on where you happen to be based in the world. There can be no doubt about it – Ignition Casino is equipped with more than enough solid games to make themselves appealing to players based in the USA, and other regions. They have some truly cracking bonus offers, and the ability to deposit, play and withdraw with bitcoins is just what the doctor ordered. Not everything is perfect, and a few improvements could be made to customer service, the range of games, language options, but that is pithily stuff. Ignition Casino is therefore one of the better bitcoin casinos you can play at this year. >> Join Ignition Casino now!